Flash Player 10.2 beta has been released by Adobe and can be downloaded here. A new method for video playback in Flash Player that will allow developers to leverage complete hardware acceleration of the video rendering pipeline, enabling best-in-class playback performance. Stage Video can dramatically decrease processor usage and enables higher frame rates, reduced memory usage, and greater pixel fidelity and quality. Full details of this build can be found on Adobe's website, here. 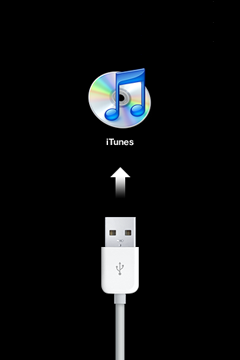 A connect to iTunes prompt is displayed instead of home screen in your iPhone or iPad device after installing iOS 4.2 Beta version. When you connect the device to iTunes, message "The software on the iPhone has expired and you must be updated to a new version." is displayed. When you try to update, message "This version of the iPhone software is the current version." is displayed but the home screen of the device is still not showing up. When you try to restore, message "There was a problem downloading the software for the iPhone (or iPad). The requested resource was not found." is displayed. There are 2 ways to restore to the official iOS 4.2 version. Both would erase all your data and media files so you need to resync your device to iTunes afterwards. Restore using an ipsw file. 2. Connect device to iTunes. 3. Close any message displayed. 4. Hit key and press Restore button simultaneously. --Observe: Choose a File: iTunes dialog displayed. 5. Navigate to the directory where ipsw is downloaded to. 6. Select the ipsw file and press Choose. iTunes will restore the device using the official iOS 4.2 ipsw file. 2. Connect USB cable to computer but not the device yet. 3. Do a hard reset by pressing and holding down Sleep/Wake and Home button simultaneously. Ignore the switch off prompt and just keep on pressing the buttons until black screen is displayed. 5. When black screen is displayed (before Apple logo comes up), release the Sleep/Wake button and plug in the USB to the device. Keep on pushing the Home button until the recovery mode message "iTunes has detected an iPhone (or iPad) in recovery mode. You must restore this iPhone before it can be used with iTunes." is displayed in iTunes. iTunes will download the official iOS 4.2 restore file which would take around 15-20 minutes. You may need to put the device back to recovery mode (repeat steps 1-6) after the download and then press Restore button again to restore to the downloaded file.